Acquisition finance refers to the proportion of different sources of capital that are used to fund a merger or acquisitionMergers Acquisitions M&A ProcessThis guide takes you through all the steps in the M&A process. Learn how mergers and acquisitions and deals are completed. In this guide, we'll outline the acquisition process from start to finish, the various types of acquirers (strategic vs. financial buys), the importance of synergies, and transaction costs. It is usually a complex mission requiring thorough planning, since acquisition finance structures often require a lot of variations and combinations, unlike most other purchases. Moreover, acquisition financing is seldom procured from one source. With various alternatives available to finance an acquisitionAcquisitionAn acquisition is defined as a corporate transaction where one company purchases a portion or all of another company's shares or assets. Acquisitions are, the challenging part is getting the appropriate mix of financing that offers the lowest cost of capitalCapitalCapital is anything that increases one’s ability to generate value. It can be used to increase value across a wide range of categories such as financial, social, physical, intellectual, etc. In business and economics, the two most common types of capital are financial and human. Examples. Companies can grow in various ways such as by increasing their workforce, launching new services or products, expanding marketing, or reaching new customers. However, the abovementioned growth methods are often less exciting to investors. Apart from rapid growth, synergistic acquisitionsSynergisticThe term synergistic is derived from synergy, which refers to the benefit that results from the merger of two agents who want to achieve something that either of them would not be able to achieve on their own. The term is mostly used in mergers and acquisitions (M&A), where two companies merge to form one company that can also offer other significant benefits such as economies of scaleEconomies of ScaleEconomies of Scale refer to the cost advantage experienced by a firm when it increases its level of output.The advantage arises due to the inverse relationship between per-unit fixed cost and the quantity produced. The greater the quantity of output produced, the lower the per-unit fixed cost. Types, examples, guide and increased market share. However, the acquisition of another company is a major decision that needs sound financial resources. When companies own stock that is traded publicly, the acquirer can exchange its stock with the target company. Stock swaps are common for private companies, whereby the owner of the target company wants to retain a portion of the stake in the combined company since they are actively involved in operations management, as well as the success of the business. The company often relies on the proficiency of the owner to operate effectively. Relevant and careful stock valuation is important when considering a stock swap for private companies. There are various stock valuation methodologies used by proficient merchant bankers such as Comparative Company AnalysisComparable Company AnalysisHow to perform Comparable Company Analysis. This guide shows you step-by-step how to build comparable company analysis ("Comps"), includes a free template and many examples. Comps is a relative valuation methodology that looks at ratios of similar public companies and uses them to derive the value of another business, DCF Valuation Analysis, and Comparative Transaction Valuation Analysis. In acquisition finance, equity is the most expensive form of capital. Equity usually comes at a premium since it carries with it the maximum risk. The riskiness is due to a lack of claim to the assets of the company. Equity financing is often desirable by acquiring companies that target companies that operate in unstable industries and with unsteady free cash flows. Acquisition financing is also more flexible due to lack of commitment for periodic payments. In an all-cash acquisition deal, shares are usually swapped for cash. The equity portion of the balance sheet of the parent company remains the same. Cash transaction during an acquisition often happens in situations where the company being targeted is smaller and with lower cash reserves than the acquirer. Debt financing is one of the favorite ways of financing the acquisitions. Most companies either lack the capacity to pay out of cash or their balance sheets won’t allow. Debt is also considered the most inexpensive method of financing an acquisition and also comes in numerous forms. While giving out funds for acquisition, the bank usually analyzes the target company’s projected cash flow, profit margins, and liabilities. Analysis of the financing health of both the acquiring company and the target company is a pre-requisite. Asset-backed financing is also another method of debt financing where banks can lend funds based on the collateral offered by the target company. Collateral may include fixed assets, receivables, intellectual property, and inventory. Due to the cost of capital for debt being lower than for other forms like equity, it is among the most preferred forms of financing. Furthermore, debt also offers tax advantages. Mezzanine or quasi-debt is an integrated form of financing that includes both equity and debt features. In nature, it is comparable with subordinate debt though it comes with an option of being converted to equity. Mezzanine financingMezzanine FundA mezzanine fund is a pool of capital which invests in mezzanine finance for acquisitions, growth, recapitalization or management/leveraged buyouts. In the capital structure of a company, mezzanine finance is a hybrid between equity and debt is suitable for target companies with a strong balance sheet, as well as steady profitability. The companies generate consistent cash flows, though they may lack a strong asset base. Flexibility makes mezzanine financing appealing. The financing is a long-term capital capable of spurring value creation and corporate growth. A leveraged buyoutLeveraged Buyout (LBO)A leveraged buyout (LBO) is a transaction where a business is acquired using debt as the main source of consideration. An LBO transaction typically occur when a private equity (PE) firm borrows as much as they can from a variety of lenders (up to 70-80% of the purchase price) to achieve an internal rate return IRR >20% is a unique mix of both equity and debt that is used to finance an acquisition. It is one of the most popular forms of acquisition finance structures. It is like a hostile takeover since it is used to force unproductive companies to improve. In an LBO, the assets of both the acquiring company and target company considered as secured collaterals. Companies that involve themselves in LBO transactions are usually mature, possess a strong asset base, generate consistent and strong operating cash flows, and with few capital requirements. The principal idea behind a leveraged buyout is to compel companies to yield steady free cash flows capable of financing the debt taken to acquire them. It is to prevent wasting cash flows on other unprofitable projects. Seller’s financing is where the acquiring company’s source of acquisition financing is internal, coming from the target company. Buyers usually resort to the seller’s financing method when obtaining capital from outside is difficult. The financing may be through delayed payments, seller note, earn-outs, etc. 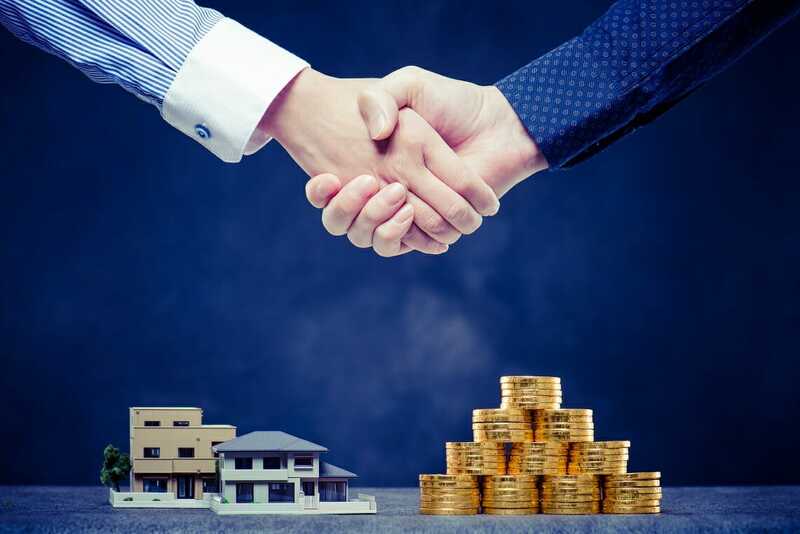 For the seller note, the target company will loan money to the buying company to finance acquisitions, in which the buying company pays a certain amount of the transaction at a future date. When building an M&A model in Excel it’s important to have a clearly laid out set of assumptions about the transaction and the sources of cash (financing) that will be used to fund the purchase of a business or an asset. Below is a screenshot of the sources and uses of cashSources and Uses of Cash ScheduleA Sources and Uses of Cash schedule gives a summary of where capital will come from (the "Sources") and what the capital will be spent on (the "Uses") in a corporate finance transaction. A Sources and Uses of Cash schedule is used frequently in financial modeling, valuation, investment banking, private equity, M&A, in an M&A model. To learn more, check out CFI’s M&A Modeling Course. There are many different ways to acquire financing for an acquisition. The acquiring company can pay the target company through methods such as cash, stock swaps, debt, mezzanine financingMezzanine FundA mezzanine fund is a pool of capital which invests in mezzanine finance for acquisitions, growth, recapitalization or management/leveraged buyouts. In the capital structure of a company, mezzanine finance is a hybrid between equity and debt, equity, leveraged buyoutLeveraged Buyout (LBO)A leveraged buyout (LBO) is a transaction where a business is acquired using debt as the main source of consideration. An LBO transaction typically occur when a private equity (PE) firm borrows as much as they can from a variety of lenders (up to 70-80% of the purchase price) to achieve an internal rate return IRR >20% or sellers financing. However, what is important is how optimal it is, as well as its alignment with the goals and nature of the business deal. It is vital to plan the acquisition financing structure to fit the circumstance. Moreover, the acquisition finance structure must come with enough flexibility to be altered to fit the different contexts. It can be realized only if the adaptability, as well as the cost of the acquisition financing structure, is grounded in the cash-flow generating capacity of the organization and the strength of its asset base. Even though debt is quite inexpensive relative to equity, the interest it requires can inhibit the flexibility of an organization. Huge volumes of debt are more appropriate for companies that are mature, with steady cash flowsCash FlowCash Flow (CF) is the increase or decrease in the amount of money a business, institution, or individual has. In finance, the term is used to describe the amount of cash (currency) that is generated or consumed in a given time period. There are many types of CF and do not require large capital expenditureCapital ExpendituresCapital expenditures refer to funds that are used by a company for the purchase, improvement, or maintenance of long-term assets to improve the efficiency. Firms that compete in unstable markets, want to grow fast, and also need huge amounts of capital to grow are most likely to need equity financing. Even though debt and equity are the most popular forms of acquisition financing, there are also other forms of financing that exist due to the distinctiveness of each deal. However, it is important to note that for large acquisitions, acquisition finance structures may combine more than two financing methods. Financial SynergyFinancial SynergyFinancial Synergy occurs when the joining of two companies improves financial activities to a level greater than when the companies were operating as separate entities. Usually, M&A transactions result in a larger company, which has a higher bargaining power to get a lower cost of capital.